Scroll down for the #ukedchat conversation report for September 6th, 2018 EST. When it comes to participants, we ranked 10th among 548 conversations. In terms of the number of posts, we ranked 10th out of 548 conversations that took place. This conversation ranked 7th out of 548 in terms of the amplification of ideas & content. There were 226 reshares, 52% of posts, during the course of the conversation. 19% of participants in this conversation engaged each other 81 times. #UKEdChat A4. Never. With teaching comes learning, and that is a continual and never ending journey. 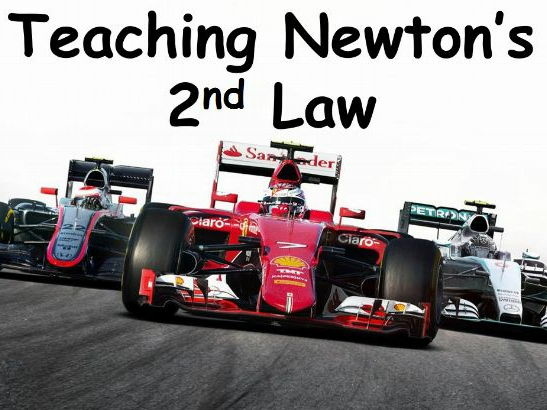 This resource is a document going through how Newton's 2nd law can be taught in an innovative way using F1.